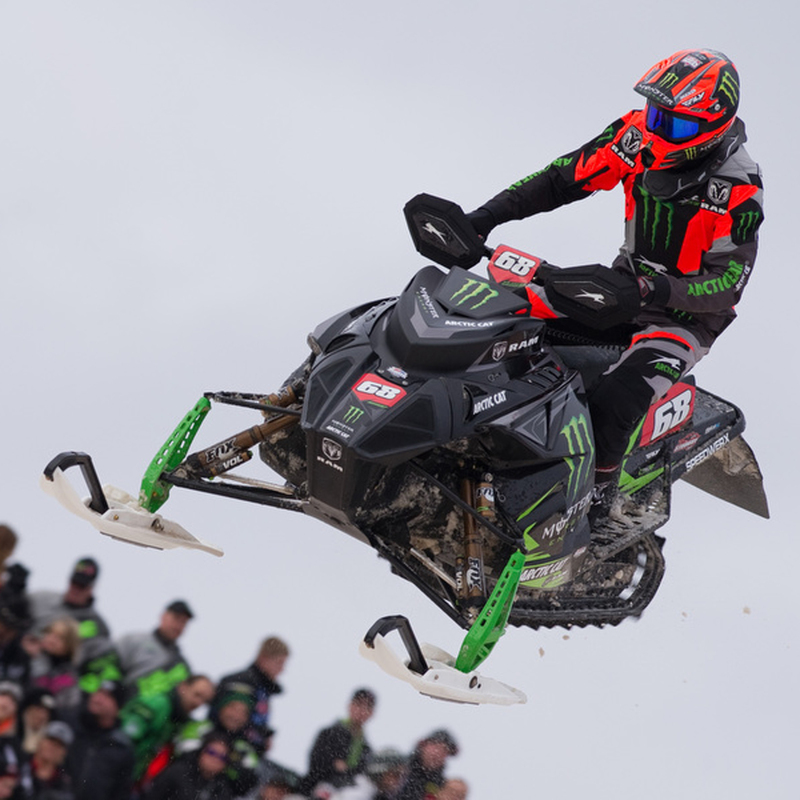 Nov. 28, 2016 – Tucker Hibbert took a podium finish at the shortened 25th Annual Duluth National over Thanksgiving weekend. Races were completed Friday and Saturday night in Duluth, Minn. before heavy fog rolled in, blanketing Spirit Mountain ski hill. 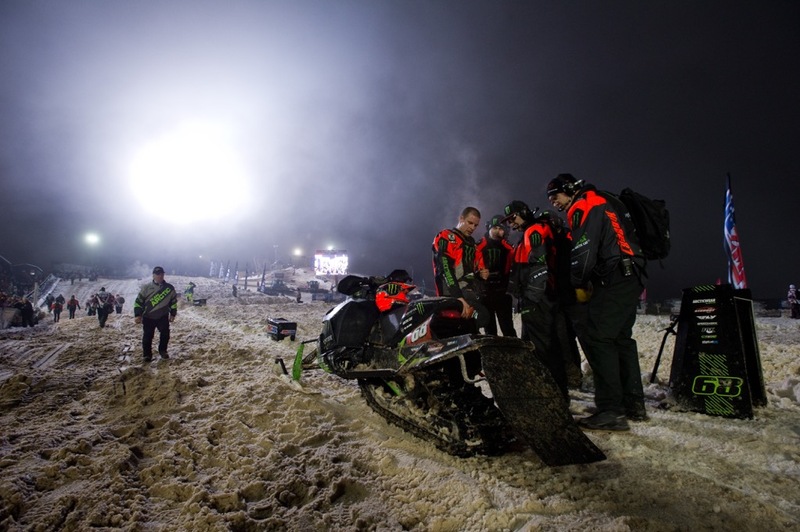 The poor visibility prompted ISOC National Snocross officials to call off Sunday’s races, including round two of the Pro Open class. The 2016/2017 ISOC National Snocross tour kicked-off Friday night with head-to-head, non-points, bracket racing. Hibbert notched two wins but came up short of racing in the Dominator final. Saturday featured the first of 17 Pro Open rounds of racing that will be contested this winter for the Pro Open Championship. Hibbert, the defending champion, went 4-3 in his qualifying rounds to qualify ninth for the 15-rider, 18-lap final. In the final, he had a top-five start off the line and knew he had to move quickly to make his way to the front. 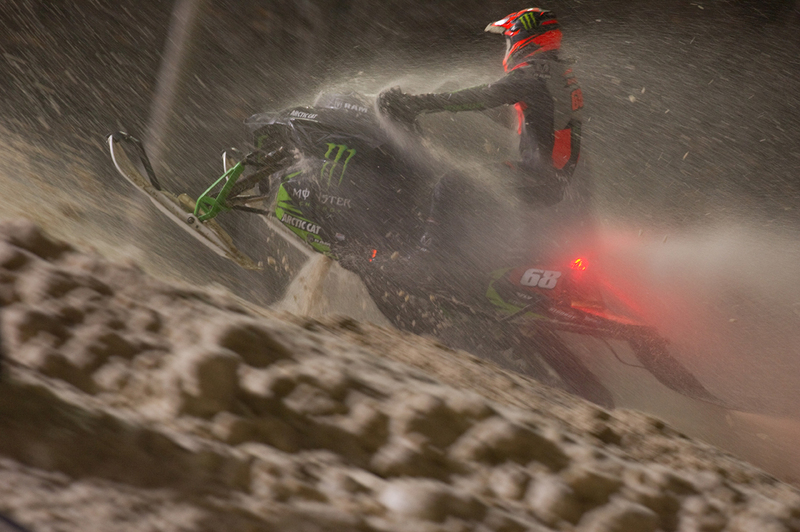 Fighting heavy, dirty snow roost, a mistake on lap seven set him back a position. With five to go, he moved into third to secure a podium finish. Hibbert currently sits fifth in the Pro Open points standings, only six points out of first place. The national tour now takes a two-weekend break before hitting a new venue in Winter Park, Colo. December 16-17. For his full snocross schedule, visit tucker-hibbert.com. NOTE: Day two of the Duluth National has been rescheduled for Sunday, January 8 at Canterbury Park in Shakopee, Minn.
Tucker’s 2017 merchandise is here! Tucker Hibbert is releasing his 2017 official merchandise line just in time for the new snocross season. 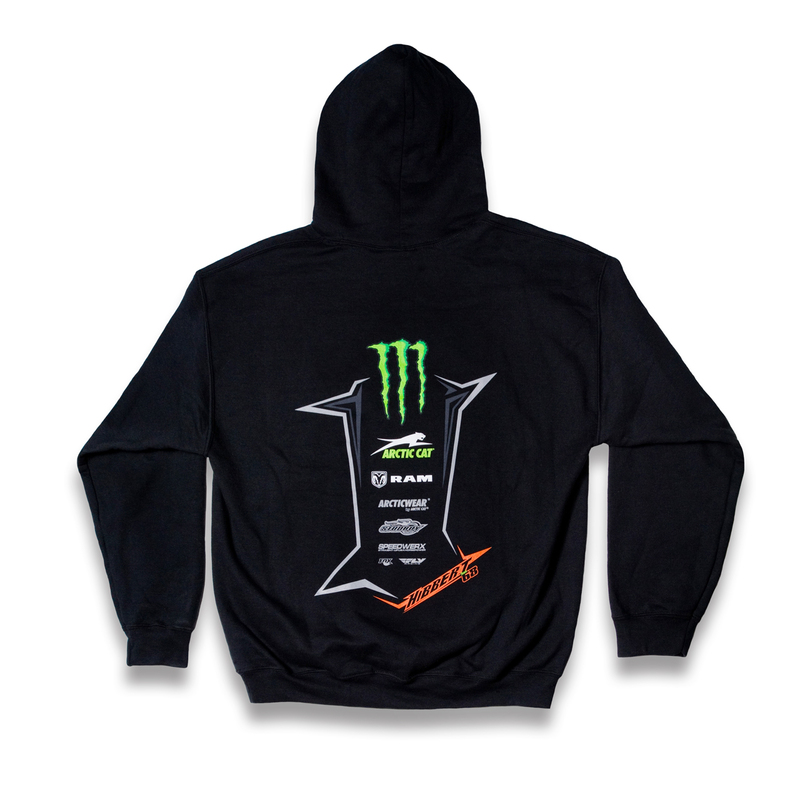 Rooted in his passion for his fans, this marks the seventh year the snocross champion is offering uniquely branded clothing and accessories at the races and online through his official merchandise store. 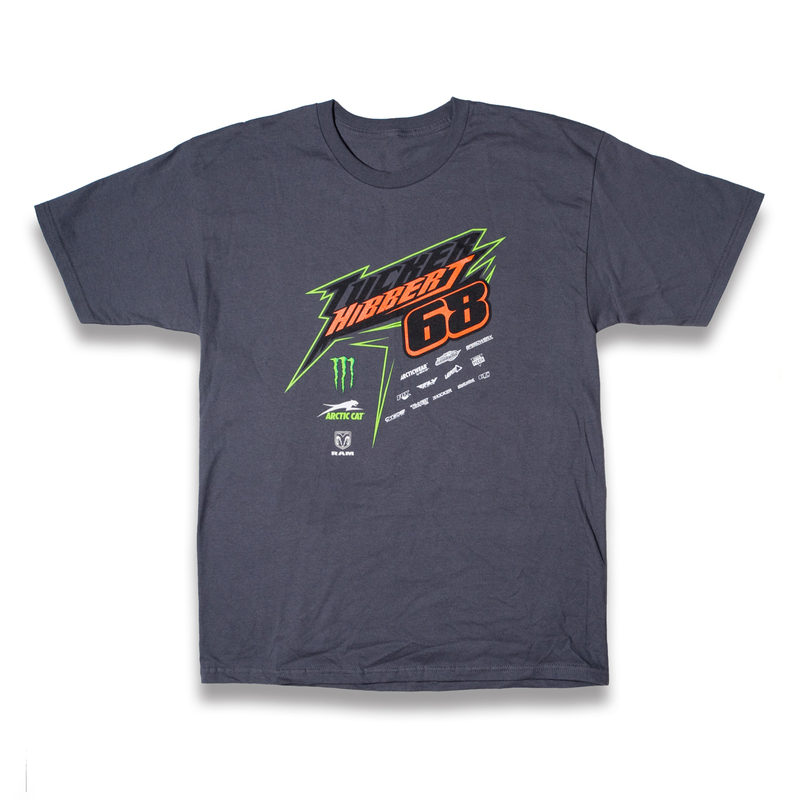 New for 2017, the T-Train t-shirt features Hibbert’s name, number and sponsor logos. 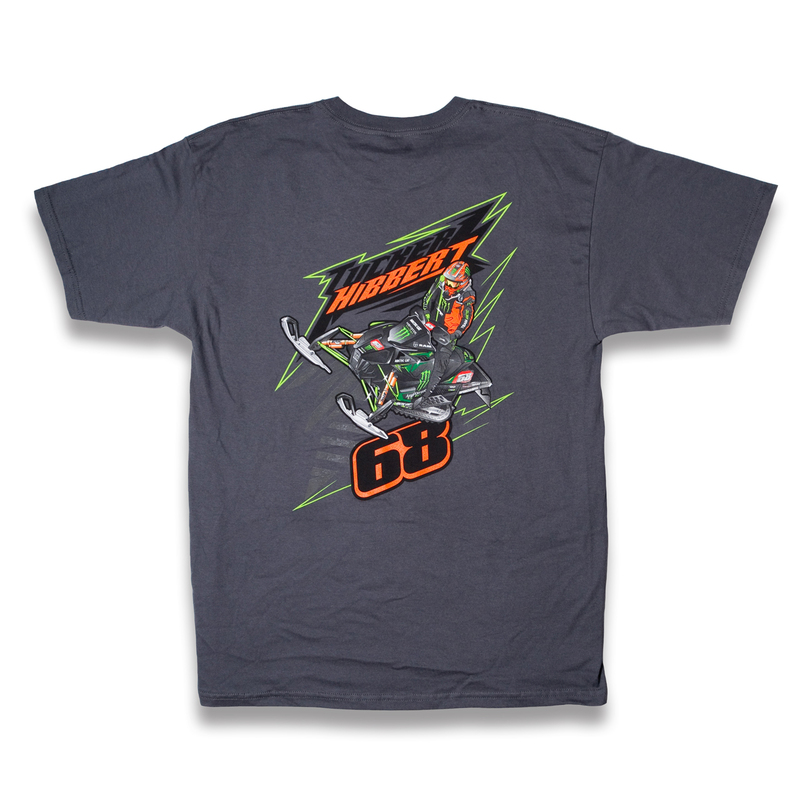 The back of this 100% cotton pre-shrunk charcoal grey t-shirt has a bold, detailed image of him racing. This longtime fan-favorite shirt is available in both adult and youth sizes. 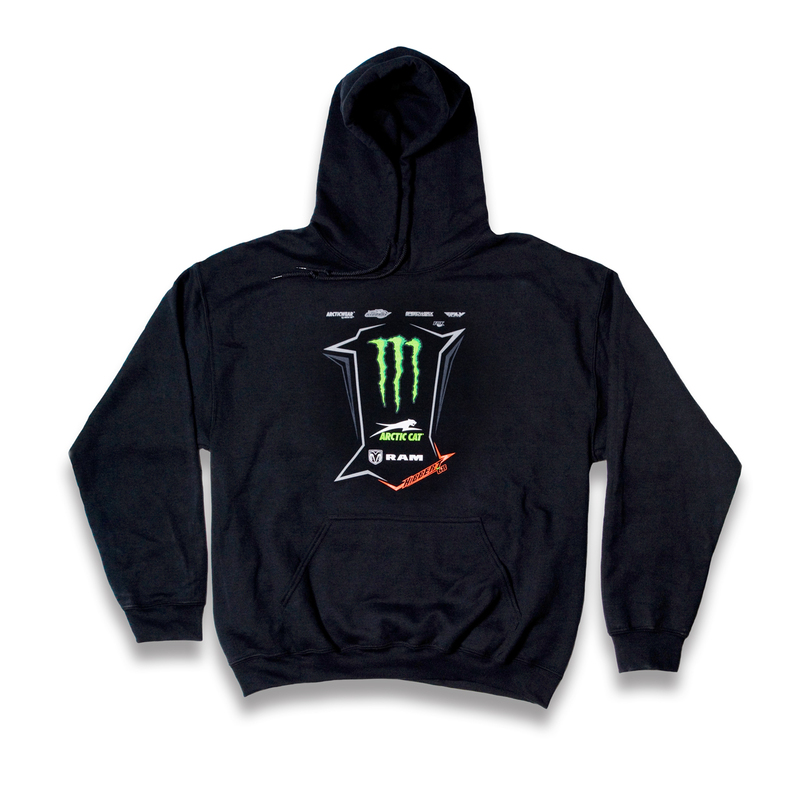 Get the official look of Hibbert and his team with the all-new Tucker Hibbert Team Monster Energy / Arctic Cat / Ram Truck hooded sweatshirt. 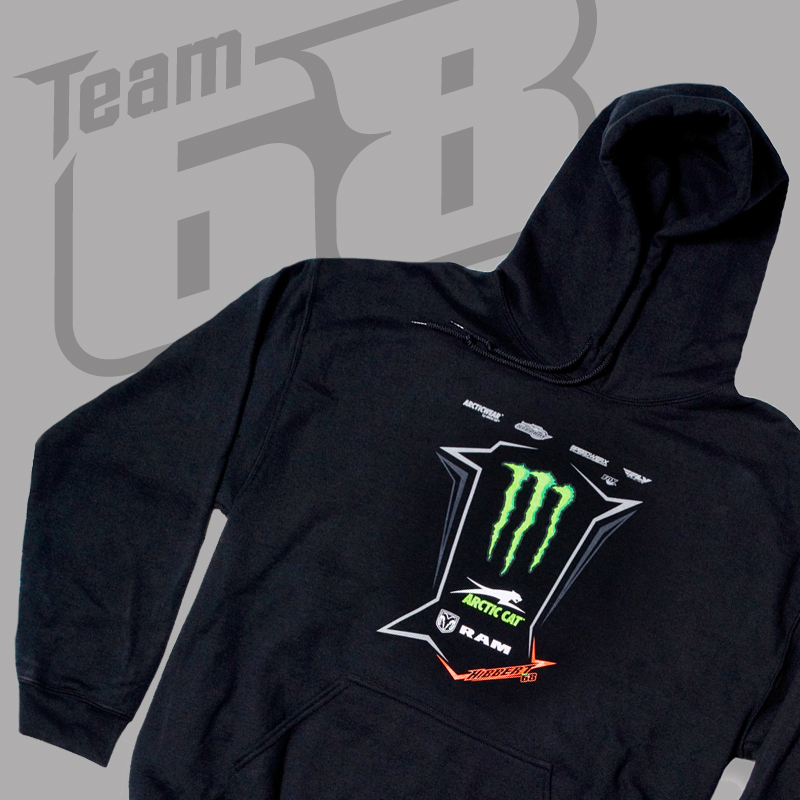 This heavyweight black hoodie features Team 68’s sponsor logos along with Hibbert’s name and number. 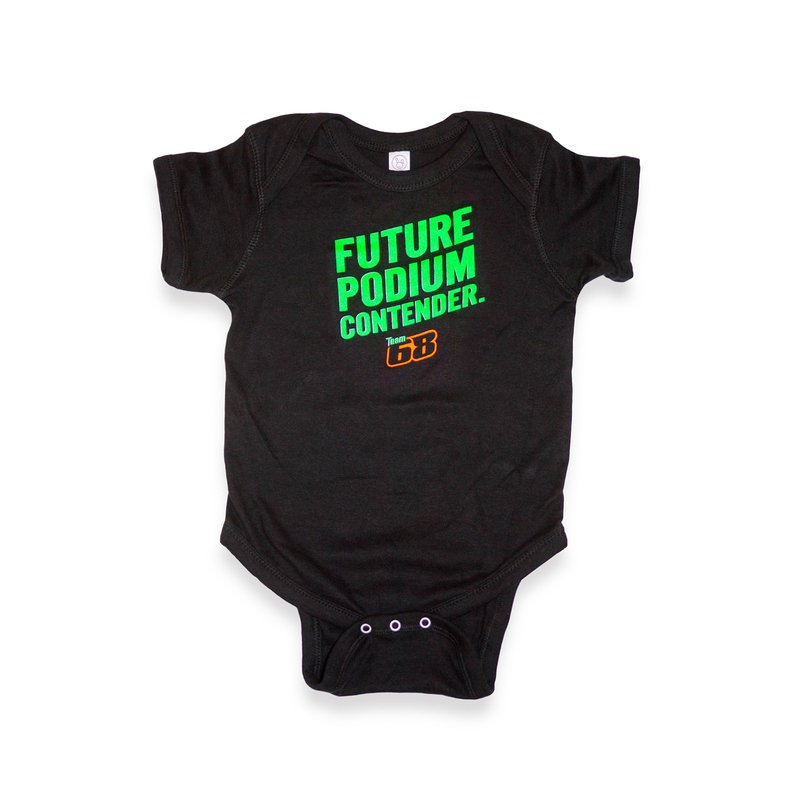 Dedicated to future podium contenders, the all-new Tucker Hibbert Team 68 Onesie has bright graphics on a soft black 100% combed ring spun cotton bodysuit. This onesie is available in four sizes ranging from newborn to 24 months.